New Year’s resolution ideas involving beauty and skincare are listed, from drinking more water to wearing sunscreen and more. For this week’s post, I thought I would do something a little bit different (and probably a bit more personal!) and discuss my New Year’s resolutions, specifically those related to beauty. Most people I know make a list on New Year’s Eve or New Year’s Day, and hopefully follow through with their resolutions all year long! Besides the resolutions I listed below, I also need to go through my makeup bag and just purge the makeup I don’t use. I struggle with “vague” resolutions, so I try to make mine very specific and easier to keep track of. Read on to learn about my beauty resolutions, and let me know what yours are in the comments section! I’m so guilty of drinking Diet Coke and coffee more often than water, and considering all of water’s amazing benefits, I definitely need to up my intake. The recommended amount of water per day is 8 average-sized glasses, so I would like to keep my daily dose around that amount. 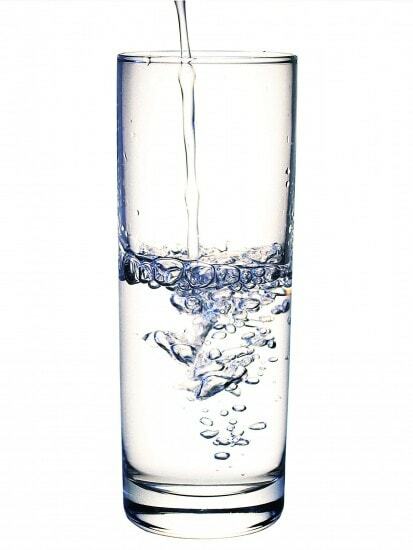 Water can help control calorie intake, as well as energize your muscles for a better workout. Most importantly, in this case, is what water does for your skin! Water acts as a protectant for the skin, helps keep skin healthy and glowing, and can lead to reduced wrinkles later in life. This resolution should be easy to do; simply swapping out all my Diet Cokes for water will lead me in a healthier direction. I’m sure we’re all guilty of this! After going out, the last thing you want to do is remove your makeup. You’re tired, and overall just not in the mood. I get it! So, my resolution is to properly remove my makeup every night. At the absolute least, I want to take all my makeup off with a makeup wipe. 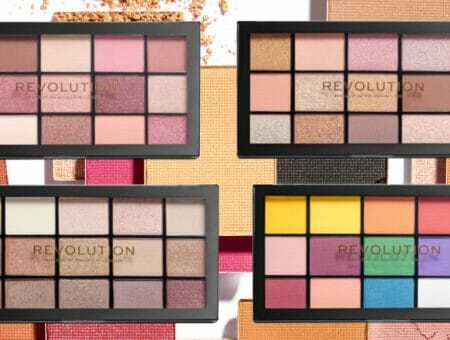 Not removing your makeup leads to clogged pores, which can lead to zits, so making sure all that makeup is off will keep your skin from looking dull, as well as make it less prone to bacteria. 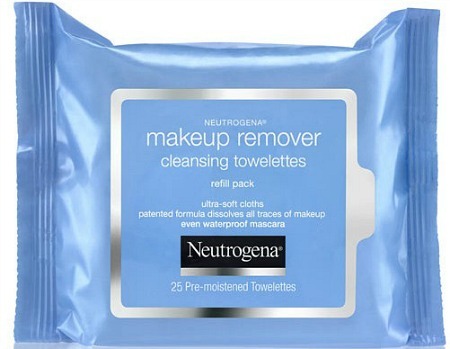 I like to keep a large pack of Neutrogena makeup removing wipes next to my bed, so it’s hard for me to forget! No matter your skin tone or age, everyone can benefit from wearing sunscreen. 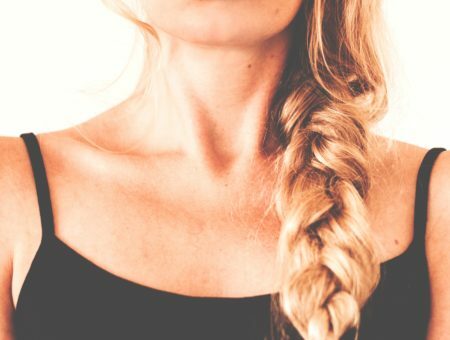 Making good decisions for your skin now will lead to healthier skin later in life. It’s so easy these days to find a sunscreen for your skin type. I have rosacea, so I use Eucerin’s Sensitive Skin Redness Relief moisturizer, which has SPF 15 and helps calm down my skin. If you have redness, that moisturizer is also green tinted, so it cancels out some of the redness. 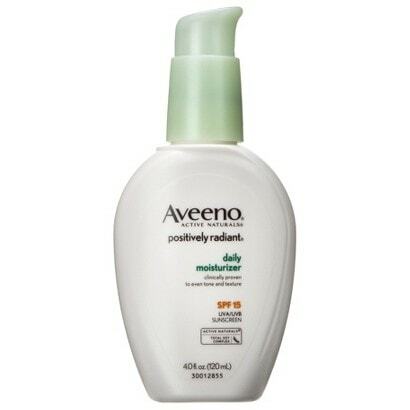 A great moisturizer for all skin types is the Aveeno Positively Radiant Daily Moisturizer with SPF 15. This one is ideal for everyday use and is safe for all types of skin. It’s really lightweight and doesn’t feel like it’s just sitting on the surface of your skin like a lot of other moisturizers with sunscreen. Do you have any New Year’s Resolutions related to beauty?Are they any of these? Would you like to see more posts like this? Remember to tell us your thoughts by leaving a comment! Previous Sponsored: Festive Holiday Makeup with Neutrogena + a GIVEAWAY!